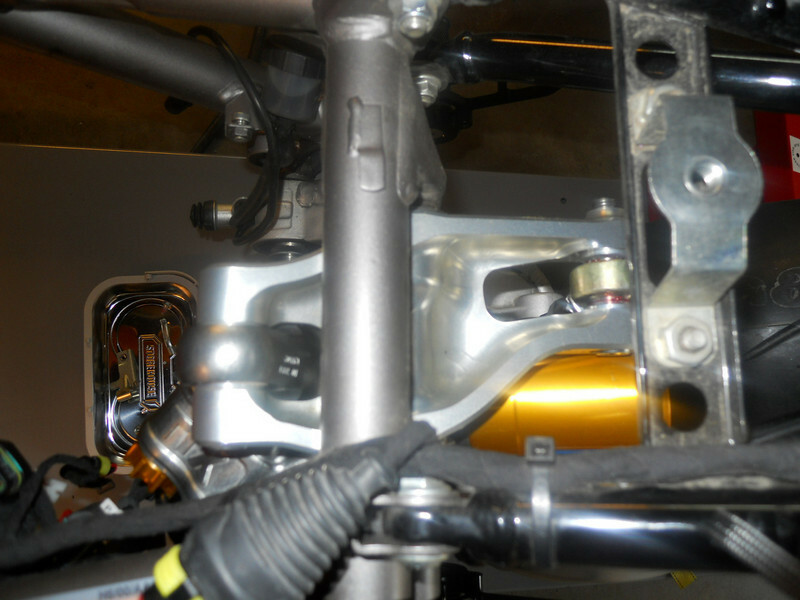 It is so much easier to remove the rear shock with the motor out of the chassis. A redesigned (monoposto) link from Dan Kyle . . . - http://kyleusa.com . . . gives better control to the shock.